Title I of the Elementary and Secondary Education Act provides financial assistance to state and local agencies to meet the needs of educationally deprived, at risk children. The goal of Title I is to provide instructional services and activities to meet the needs of disadvantaged children identified as failing or most at risk of failing the state’s challenging performance standards. The program serves children in elementary and secondary schools who have demonstrated that extra assistance is needed. Title I also serves children who attend parochial and private schools. The federal government provides funding to each state. State educational agencies send this money to the school districts. How much money each school receives is determined by the number of low income students attending that school. Identify the students at their schools who need the most educational assistance based on the criteria that school has chosen. Students do not have to be from low-income families to receive Title I services. Set goals for improving the skills of educationally disadvantaged students at their school. Measure student progress to determine the success of the Title I program for each student. Develop programs for reach individual student in order to support/supplement regular classroom instruction. 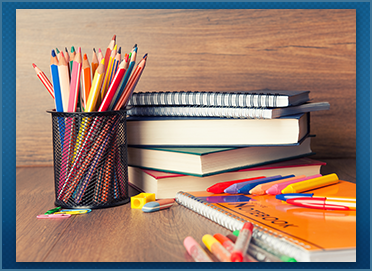 What are the key provisions of the No Child Left Behind Act (NCLB)? States were required to test every child in grades three through eight, and one grade in high school, in reading and mathematics by the 2005-06 school year. States must implement fair and effective annual tests that are aligned to the state’s high academic standards. The US Dept. of Education provides funding to states to design and implement these tests. To learn more about NCLB and it's requirements, please review our NCLB presentation. Teach your student that your input at the school is appreciated and that you support his/her efforts. Research shows that how well a child does in school depends a great deal upon how much their parents get involved in their education.